CON UNA NUTRIDA ASISTENCIA, SE REALIZO LA INAUGURACION DE LAS NUEVAS AULAS DESTINADAS A LA REALIZACION DE LOS CURSOS DE DIBUJO Y PINTURA PARA NIÑ@S, JOVENES Y ADULTOS. IMPARTIDAS BAJO EL AVAL Y ASESORIA DEL CENTRO NIC. DE ENSEÑANZA ARTISTICA DEL INSTITUTO NIC. 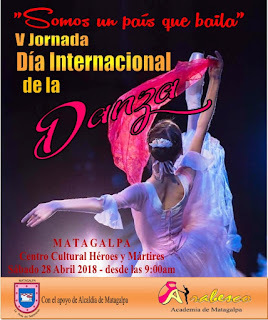 DE CULTURA DE MANAGUA. 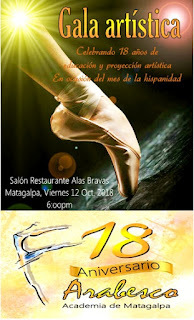 ES UNA CONSTANTE DE NUESTRA MISION DE FOMENTO AL BUEN ARTE ASI COMO EL RESCATE - DIFUSION E INTERNACIONALIZACION DE NUESTRAS TRADICIONES. LAS CLASES SE REALIZARAN EN DOS MODALIDADES NIÑOS Y JOVENES, LOS DIAS LUNES Y MARTES - JUEVES Y VIERNES Y SABATINOS. BAJO LA CONDUCCION DOCENTE DE LOS PROF. PORFIRIO ZUNIGA, CESAR LOPEZ Y MARLON RODRIGUEZ, DE LA ESCUELA NAC. DE ARTES PLASTICAS .